JONNY-ROCKS® provide a luxury chauffeur service for all clients throughout the Kidderminster and Worcestershire area. No matter where you require travel to, JONNY-ROCKS® can meet your needs and ensure you receive a comfortable and relaxing journey. As we specialise in all business and private VIP travel, we aim to exceed your expectations in every aspect of the journey. With several vehicles available, our chauffeur service will always be of the highest standard. We offer competitive rates and can provide our service for any period of time you require. Providing to national destinations, we can transport you to any area and ensure your journey is safe and enjoyable for long and short distances. No matter what vehicle you desire, we can provide a quick response and make fast appointments for all our clients in Kidderminster. Within our vehicles, we have features including heated and cooling reclining rear seats and full climate control for the front and rear of the vehicle. We want every journey to be perfect for our clients and that all aspects of the journey are how you desire them. Our Mercedes-Benz vehicles also come with privacy glass and blinds, panoramic glass sunroof and a command online system with media interface. With a wide range of vehicles available, our fleet can transport any number of clients from Kidderminster to their destination. Whether you require business travel alone or require our mini coaches for transport of more staff members, we are happy to help and will provide an extensive service to leave you fully satisfied. Our cars are completely reliable for all transportation in the Kidderminster area. No matter where you require transport to, our vehicles ensure you get there safely, in good time and fantastic style. Our team at JONNY-ROCKS® provide a personal service, entirely bespoke to every individual. We know all clients have different priorities when travelling and we will ensure all your requirements can be met by our team for the most enjoyable journey. Plenty of time will be allowed for your journey, always being on time to pick you up from any location and allowing easy travel to reach your destination on time. With experienced drivers, JONNY-ROCKS® are reliable for any length of travel and there should be no risk to your safety whilst being transported by our team. We are fully qualified and insured as chauffeurs to drive clients nationwide to their destinations for both business, luxury and private travel. We understand many clients want a stylish vehicle and whether you require brief, short distance travel or want us for long journeys, our chauffeur service will always be delivered. Chauffeuring can be provided at any time for our clients, arriving at your location well in advance. Whether you book by appointment or require emergency transport, we will always try to fit you in. Kidderminster is a large town and civil parish and with a population of over 55,000, it is an area we will always transport clients to and from. With a large population for a town, we will always provide our chauffeur service to clients here and ensure you always have chauffeuring available no matter where you require transport to. There are several major routes that run throughout Kidderminster, making it an easy location to travel to and provide quick transport for clients here. Kidderminster is also local to several points of interest including the Museum of Carpet, Severn Valley Railway, Hartlebury Castle and Kidderminster Railway Museum. With two railway stations located so close together, the museums are a fantastic place to visit. We are happy to transport people into the Kidderminster area to enjoy the range of activities available or provide quick transport out of the area to reach a new destination. JONNY-ROCKS® offer a personal service to all our clients in the Kidderminster area. As we provide a luxury and private car hire service for you, we always want to match your expectations and deliver luxury travel for all clients. With a selection of cars for you to choose from, transport is always tailored to you and the exact travel you would like. We make sure all travel is luxury and that you have complete peace within our vehicle. With modern cars, specifications are always updated, providing the most comfortable travel possible for our clients. With heated seating, the temperature is always matched to what you need. You have complete control over the relaxation of our vehicle and your journey. You can arrive at any destination in style. Whether you are attending business meetings, or you would like private travel for short distances, we will always provide for you. We also offer competitive prices to all our clients, whilst never compromising on quality. We aim to be the first choice for all clients in Kidderminster and a team that you can always rely upon. 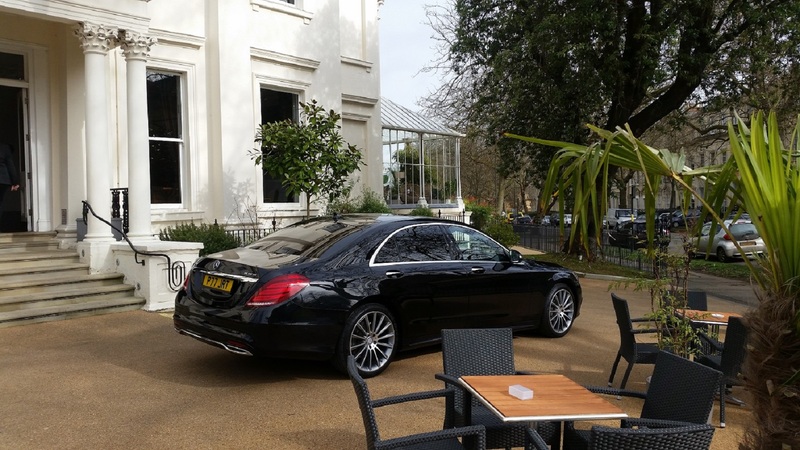 JONNY-ROCKS® will accept card payments for all chauffeuring services and as FSB members, we are happy to provide luxury business travel for any companies in Kidderminster. If you would like to read more reviews or leave a review yourself, visit our testimonials page or contact JONNY-ROCKS ® today. If you require our chauffeur service in the Kidderminster area, do not hesitate to contact our team. We are happy to discuss any requirements and make a quick appointment for our vehicle hire. Providing a quick response, we can provide luxury vehicle travel for all our clients. Contact JONNY-ROCKS® today on 07877 846 803 or fill in our contact form to make an enquiry. You can also contact us through email at info@jonnyrockschauffeurs.co.uk.